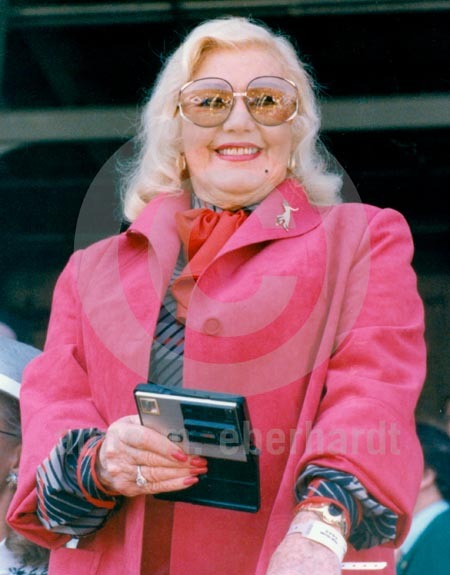 After my first Derby experience as a photographer in '85, I was hooked. 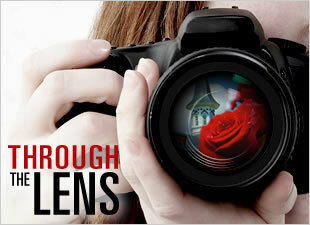 Event photography is very exciting; it takes a lot of planning and work, but it’s well worth the results. During the early years of my time at The Blood-Horse, Martin Jessee (a Lexington Herald Leader photographer for many years) led the publication's photography team. He showed me how to approach assignments during a major sporting event and how to run remote cameras. I used Nikon F3 camera bodies with motor drives all through the '80s and well into the '90s even as newer models were introduced. While still learning sports photography, I was lucky to have a knowledge of horses and racing. The next four Derbys-Ferdinand, Alysheba, Winning Colors, and Sunday Silence—were full of characters and history. Bill Shoemaker driving Ferdinand through a hole on the rail wins his fourth Kentucky Derby! Celebrities such as dancer Ginger Rogers, all in pink, were fan favorites. 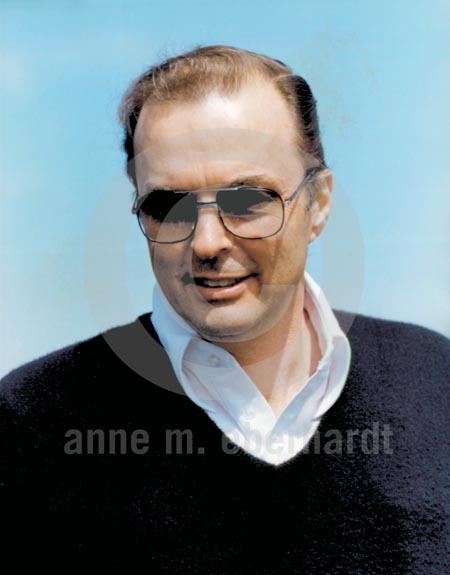 Preston Madden, famous for his Derby parties given with wife Anita, bred 1987 Kentucky Derby winner Alysheba. Madden’s father John had bred five Derby winners! 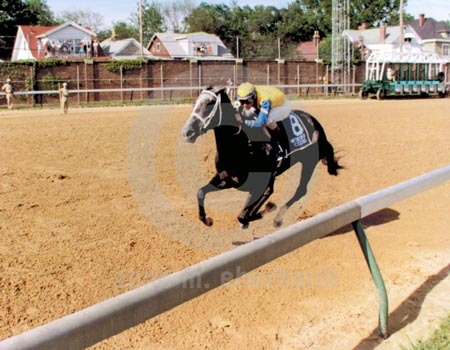 The big gray filly, Winning Colors, became only the third Derby-winning filly. She was an amazing sight during training. She took command on the final turn. I placed a remote camera on the Derby starter’s stand and caught Winning Colors all alone as she took command on the turn for home. In 1989 running cameras on the final turn paid off once again. Sunday Silence made his move, going past horses and charging into the homestretch. 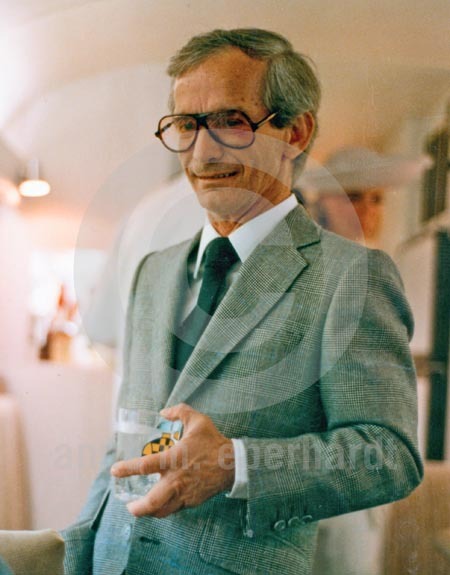 Bill Shoemaker relaxing in corporate executive style. Actress, dancer, and singer, Ginger Rogers snapping photos that day as well. 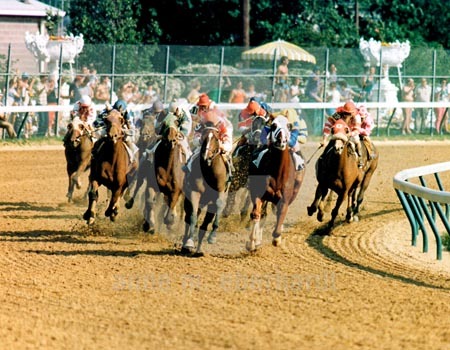 Alysheba, on the outside coming off the backstretch. Order this photo. Winning Colors, all alone. Order this photo. 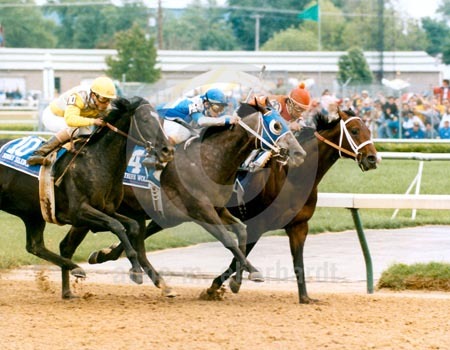 Sunday Silence (yellow silks) making his move. Order this photo. 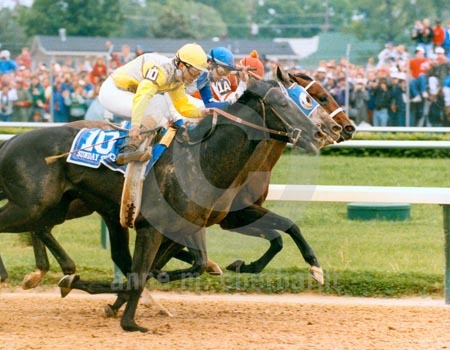 Sunday Silence taking the lead. Order this photo. Hope you have enjoyed the '80s flashback. It brought back some memories for me; hopefully, it did the same for you. I would love to hear about them! Now that I have taken you back to the late '80s, we will head into the early '90s. Some great times at Churchill Downs! Can't wait to share some of them with you.